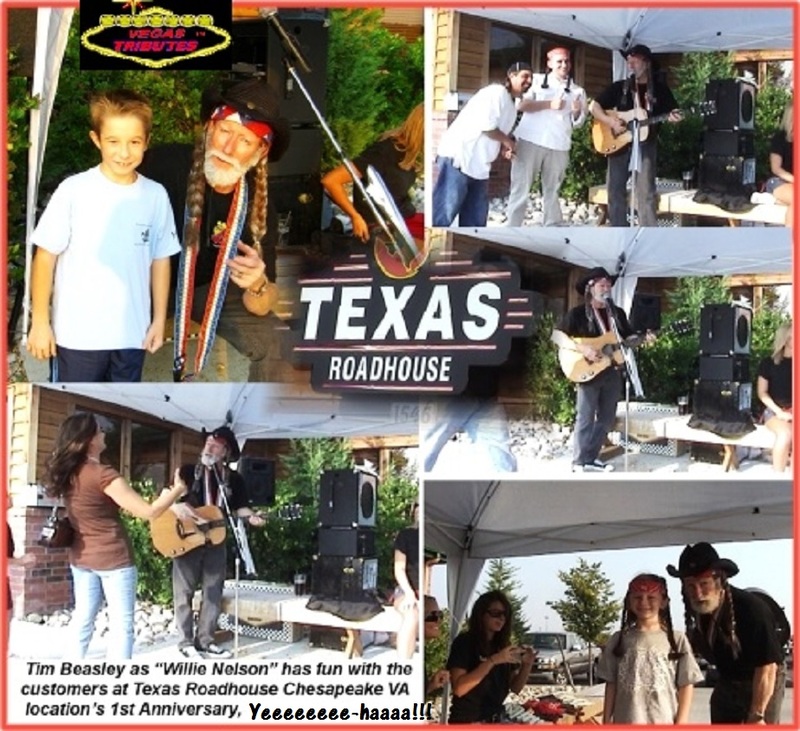 Willie Nelson Impersonator Tribute Show! 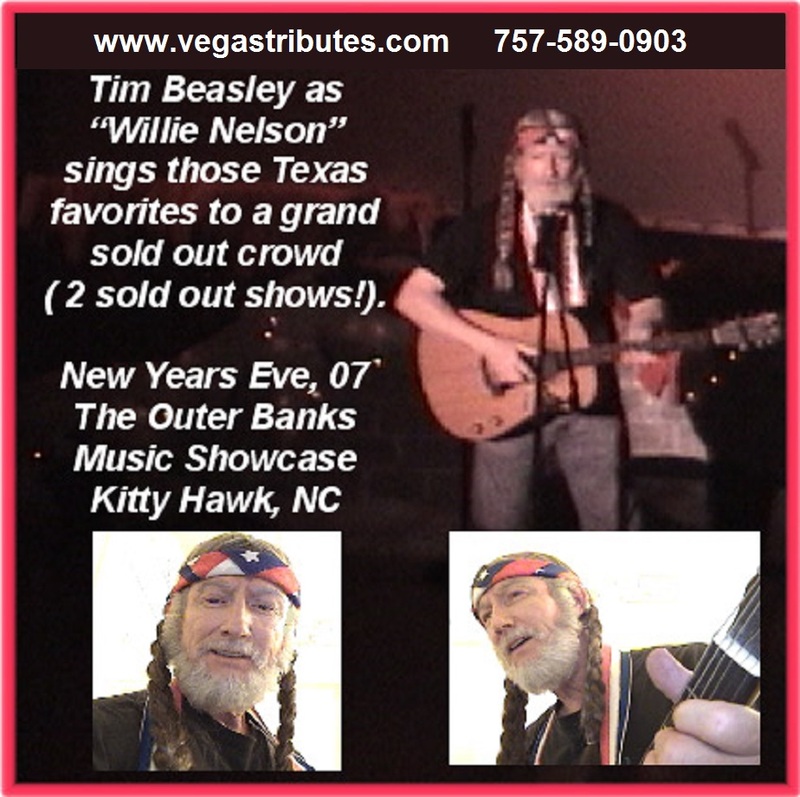 As a remarkable look-alike, sound alike Willie Nelson impersonator, Tim brings a great "impression" voice to add the soul of this Texas Outlaw troubadour tribute. 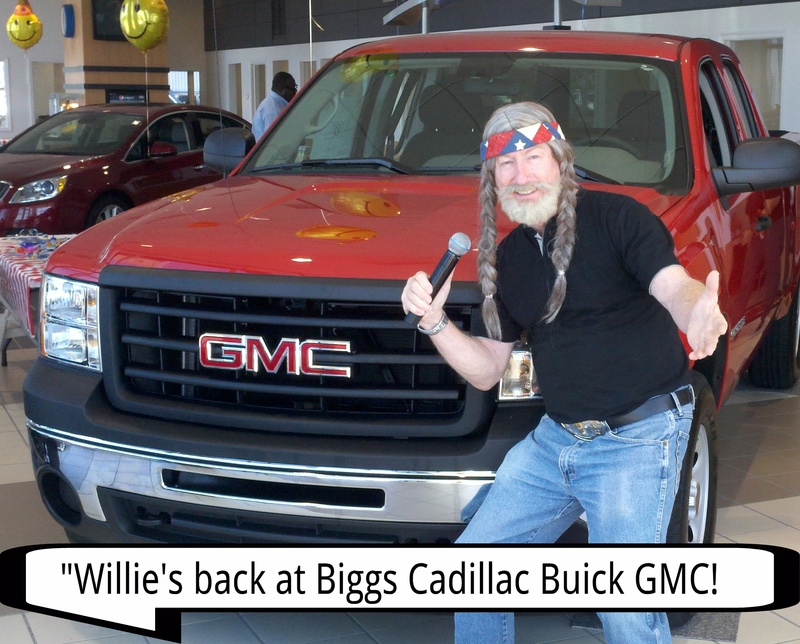 As a special country celebrity guest, Tim’s "Willie Nelson" impersonation carries a truck-load of charm! 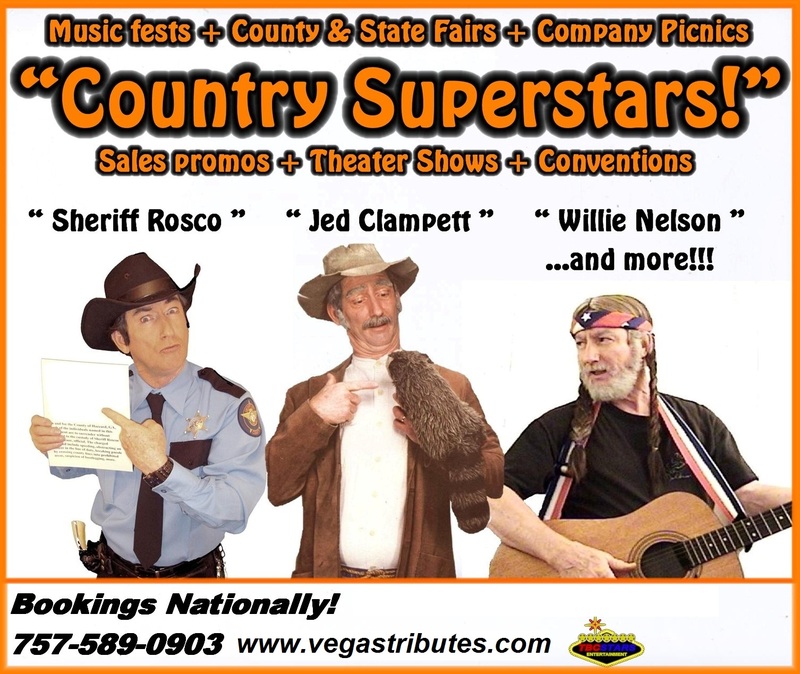 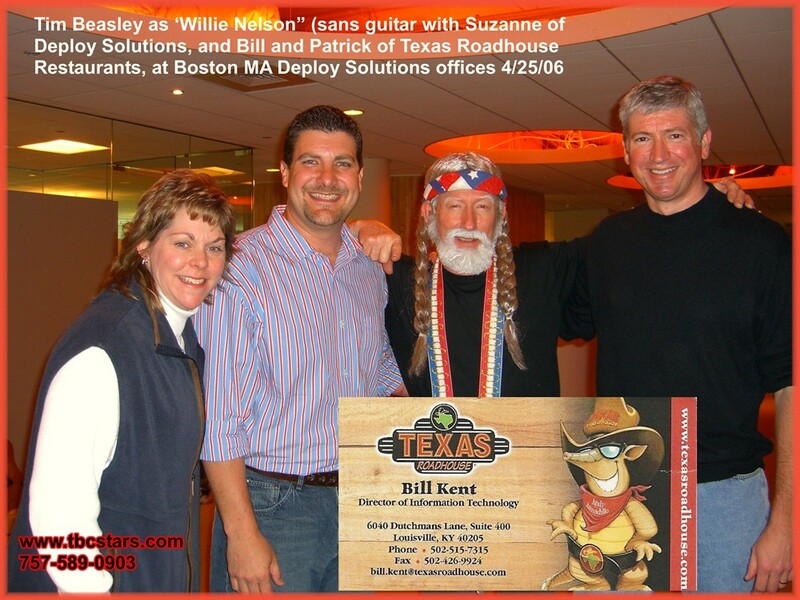 For a meet & greet or a full spotlight concert performance, "Willie" is a perfect choice for adding some Texas hot-sauce to any country & western theme party or special event for corporations, retail promotions, and country music festivals and entertainment spots. 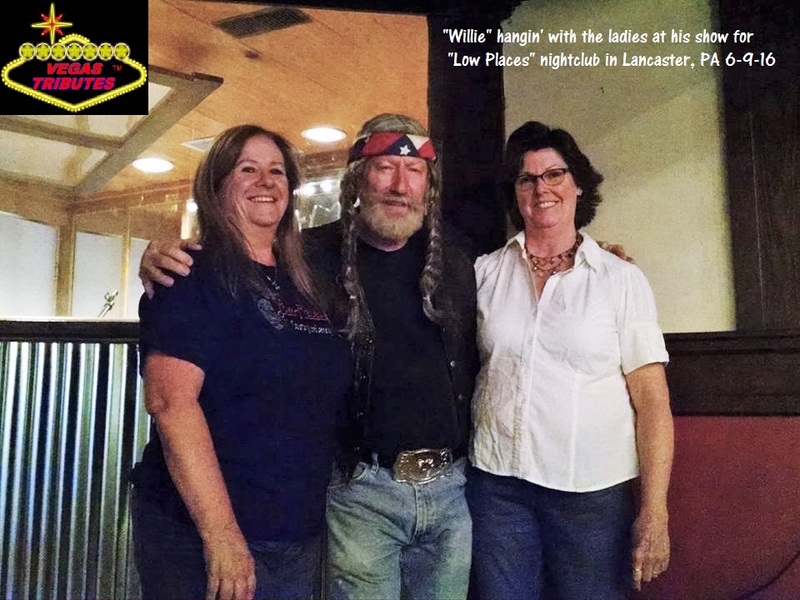 Let Tim as "Willie Nelson" be your Ace-card for your big Wild West - Outlaw Country Music event! 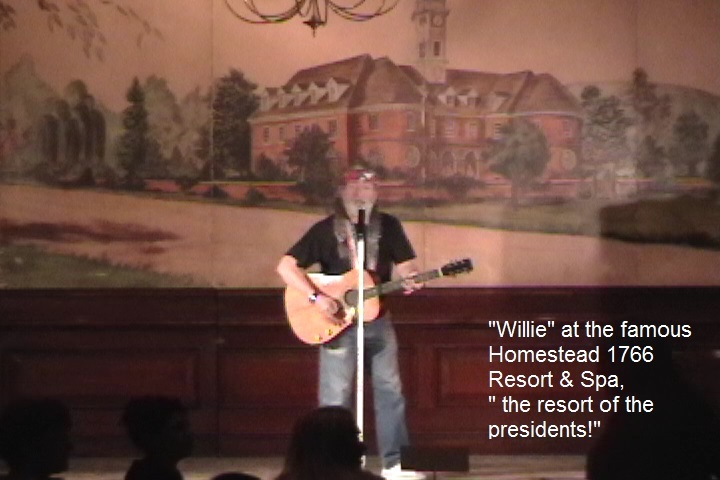 The Homestead 1766 Resort, Hot Springs, VA, "The Resort of Presidents"
And many private special events! 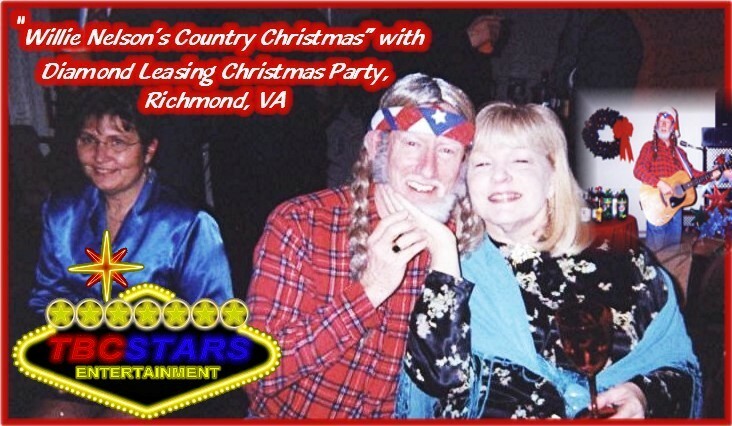 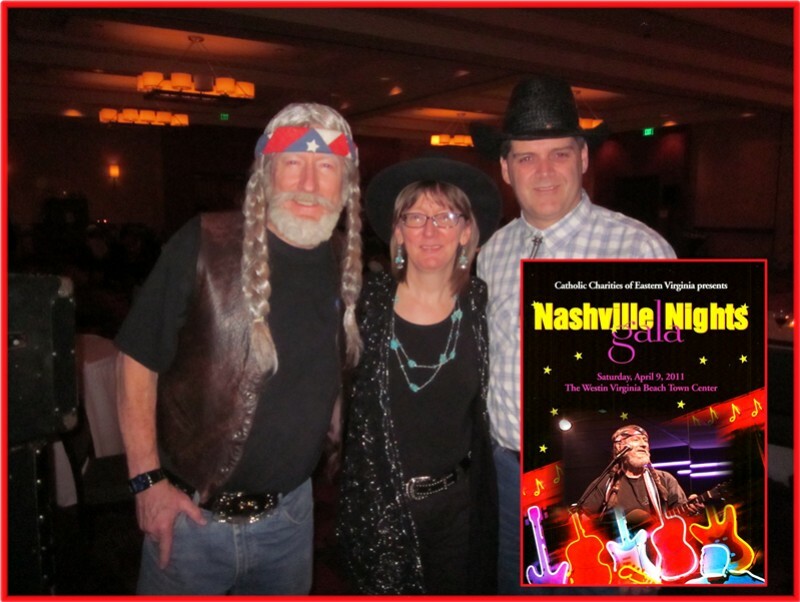 Fun Corporate Special Events Entertainment and Nashville - Country Music themed Fund-Raisers, too! 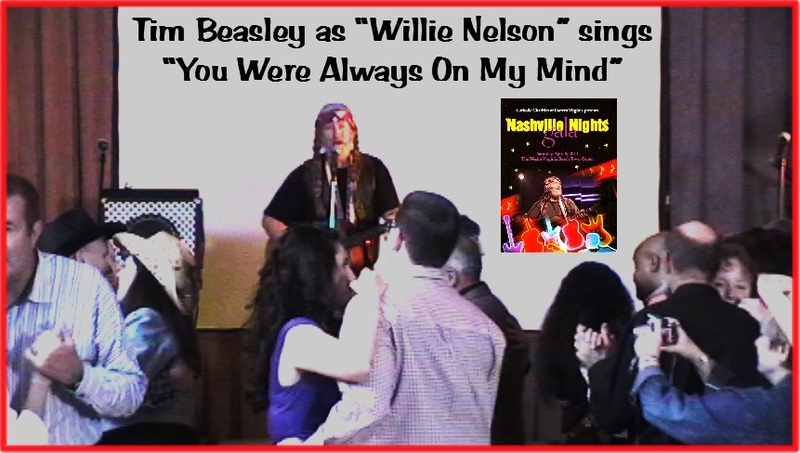 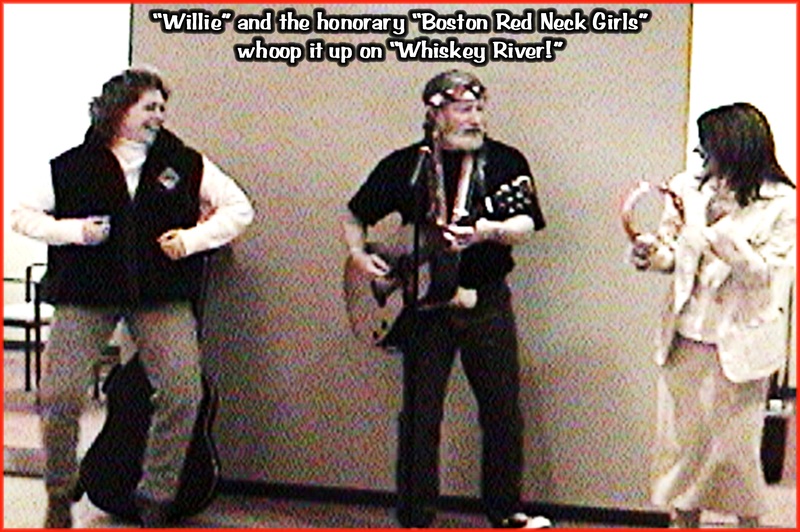 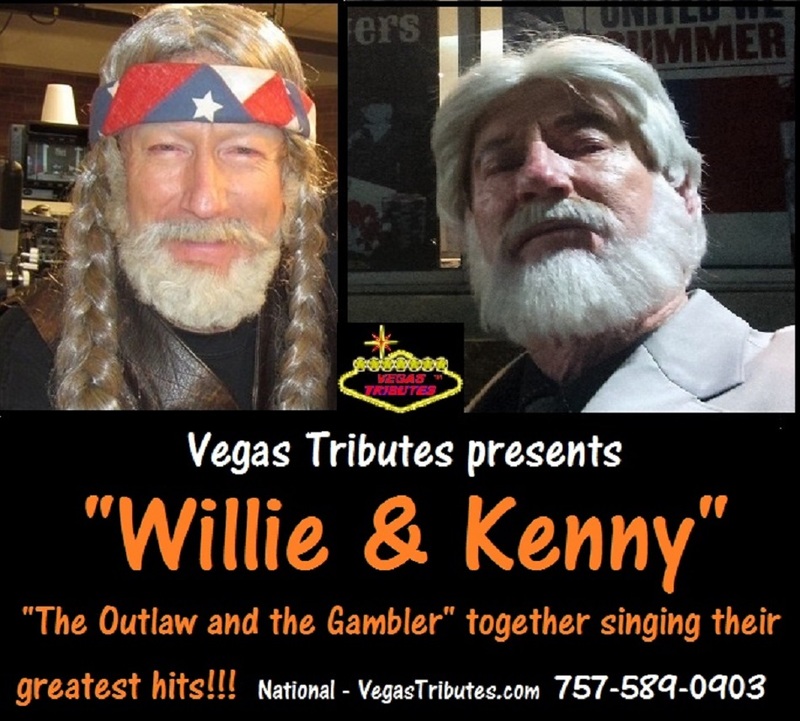 See "Willie" performing at real live shows, at this YouTube link! 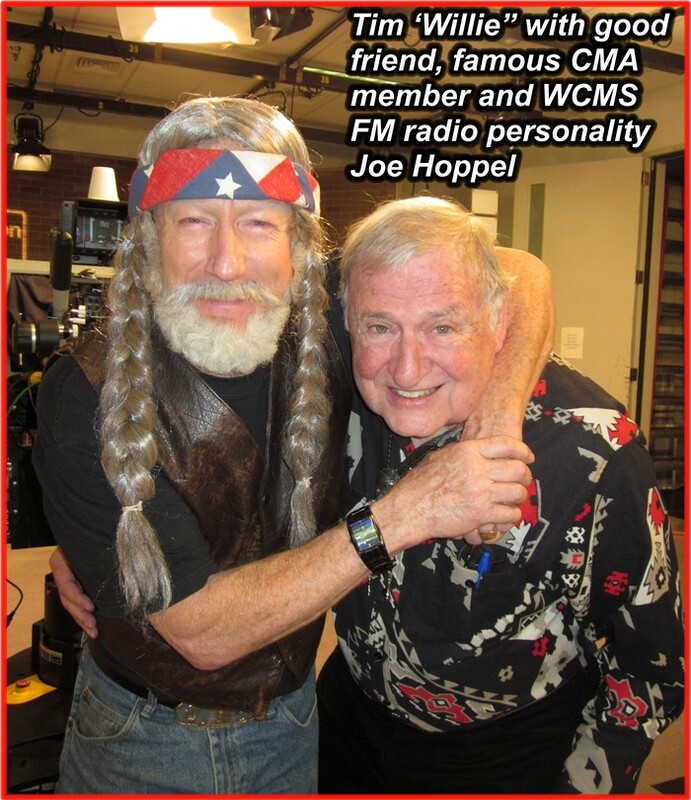 "Ya'll can call, we like to talk, ...and you can text, too!. 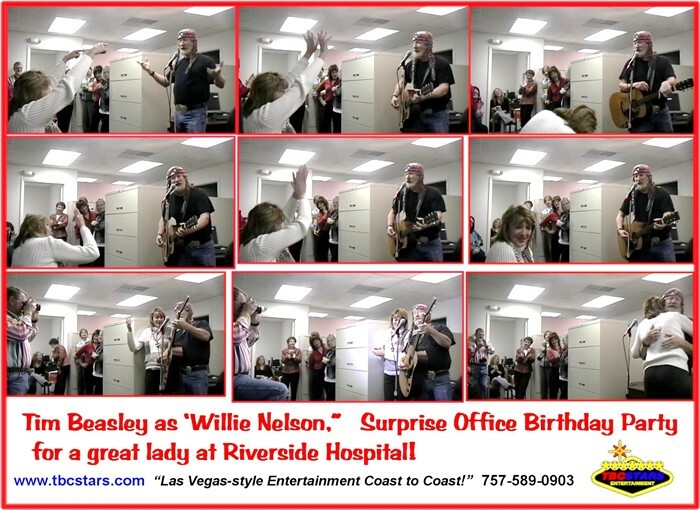 Willie Nelson, impersonator, tribute, singer, impressionist, look alike, entertainer, actor, performer, theater, stage, TV, radio, festival, casino, country club, resort, cruise, Nashville, Las Vegas, Branson, Reno, Lake Tahoe, Palm Springs, Houston, Dallas, Austin, Hawaii, Miami, Atlantic City, Atlanta, New Orleans, Hollywood, Memphis, convention, corporate.